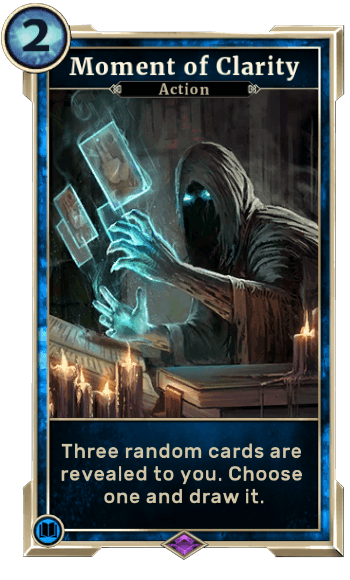 Moment of Clarity is a Card in The Elder Scrolls Legends. Three random cards are revealed to you. Choose one and draw it.